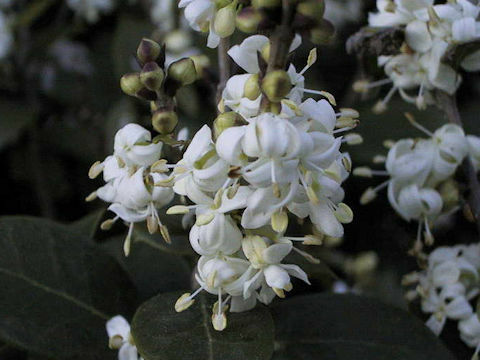 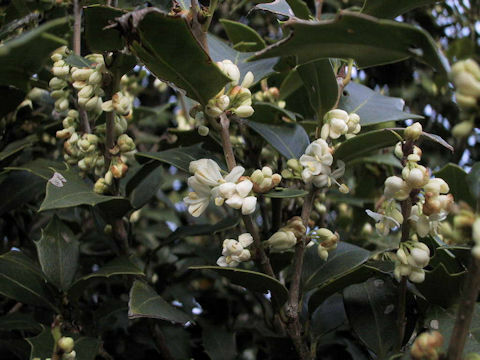 The Holly (Osmanthus heterophyllus) belongs to the Oleaceae (the Olive family). 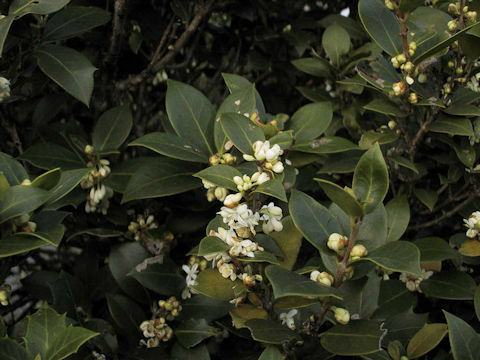 It is a semi-tall evergreen tree that is distributed from Kanto district of Honshu west to Shikoku and Kyushu of Japan, and Taiwan. 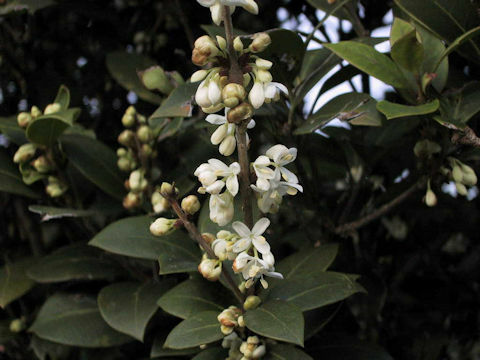 This tree grows in fields and mountains, and it can reach 4-8 m in height. 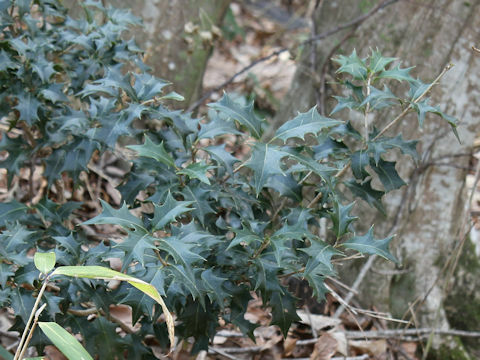 Leaves are thick leathery elliptic, odontophyllus edges with spined tips. 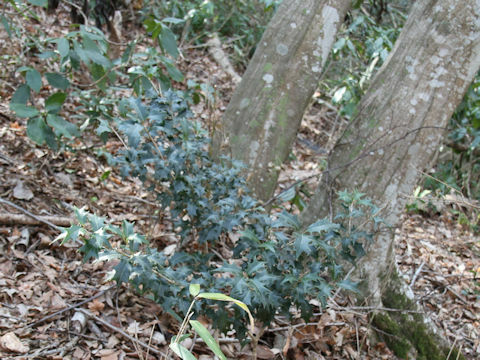 These spines are absent in the old or emaciated trees. 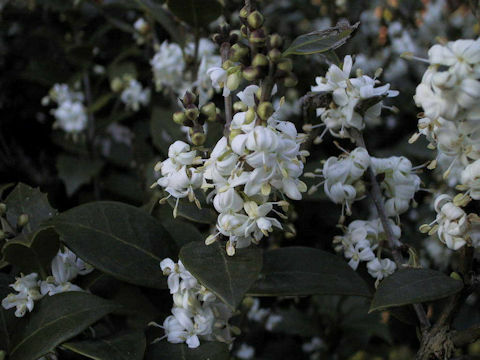 Fragrant small white flowers come on the axiles from November to December. 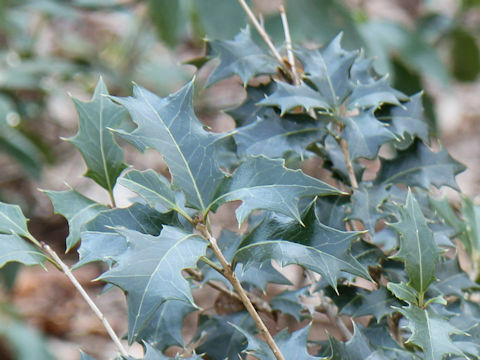 Holly has been believed worlwidely that the tree has a supernatural strength or power of charm against evil.